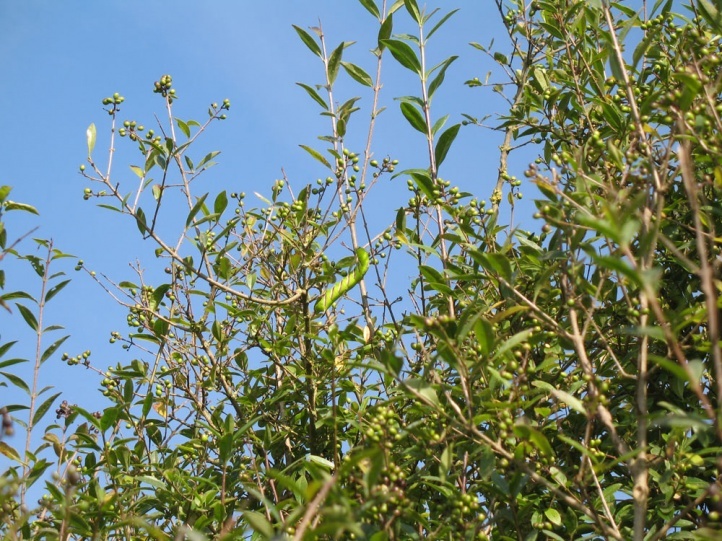 Oleaceae like privet, ash or more rarely lilac (Ligustrum, Fraxinus, Syringa). 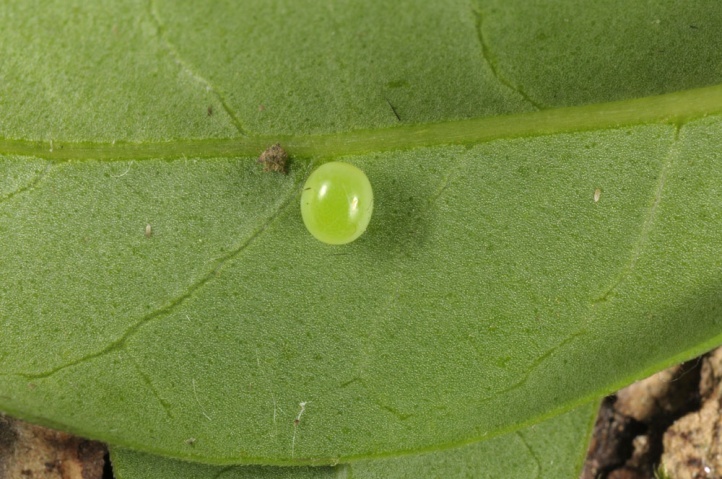 In addition, oviposition often occurs on the rosaceous genus Spiraea (especially Spiraea vanhouttei), very rarely according to literature also on Viburnum. 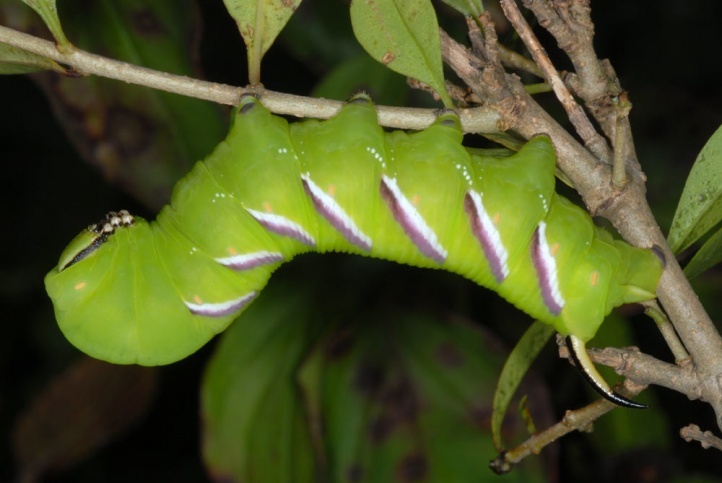 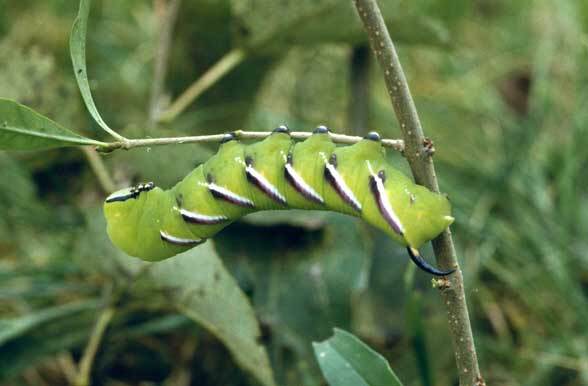 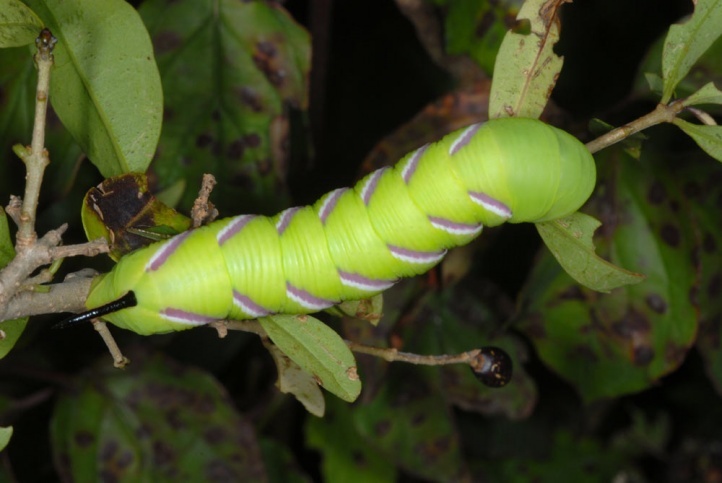 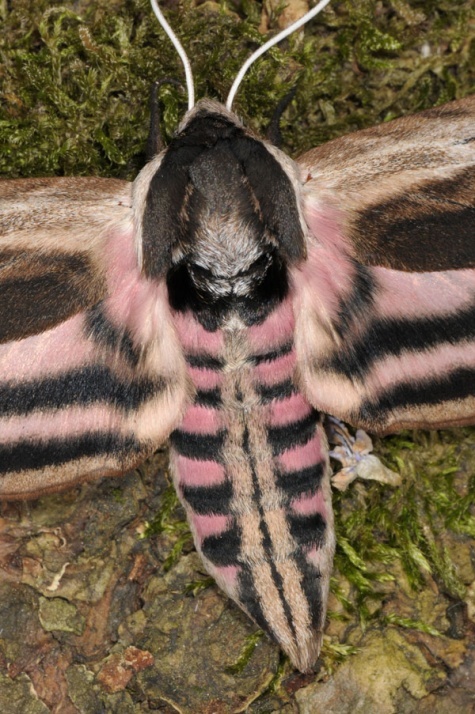 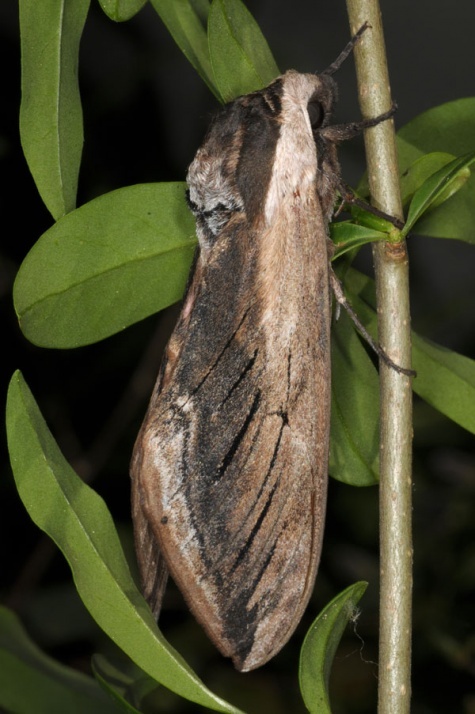 Sphinx ligustri inhabits particularly air-humid, Fraxinus-rich lowland floodplain forests and other mostly warm and humid habitats. 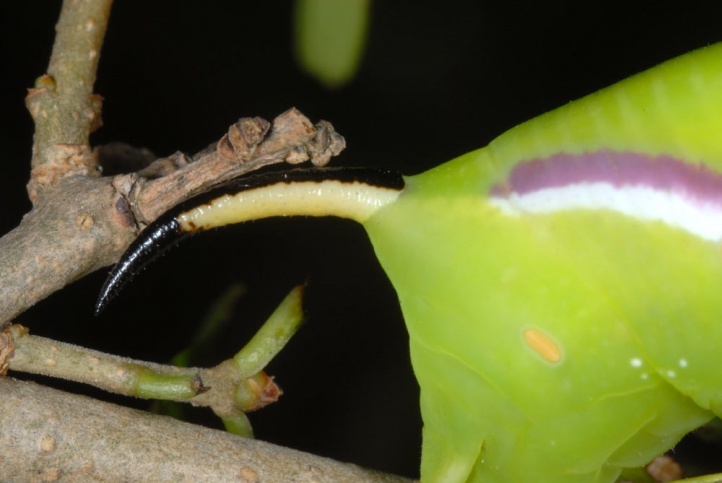 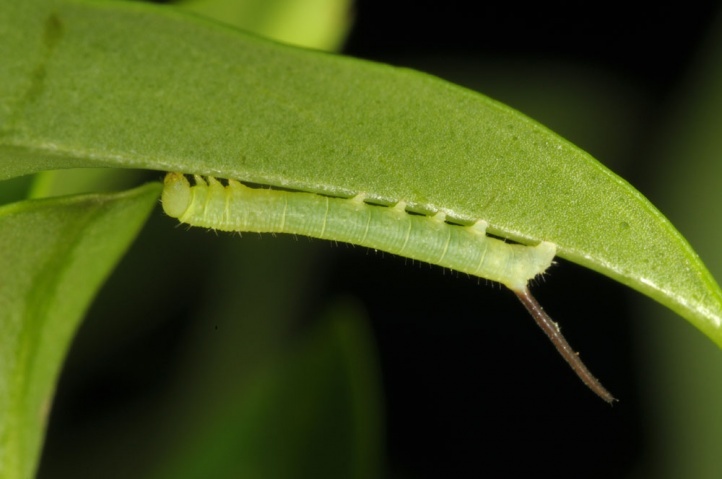 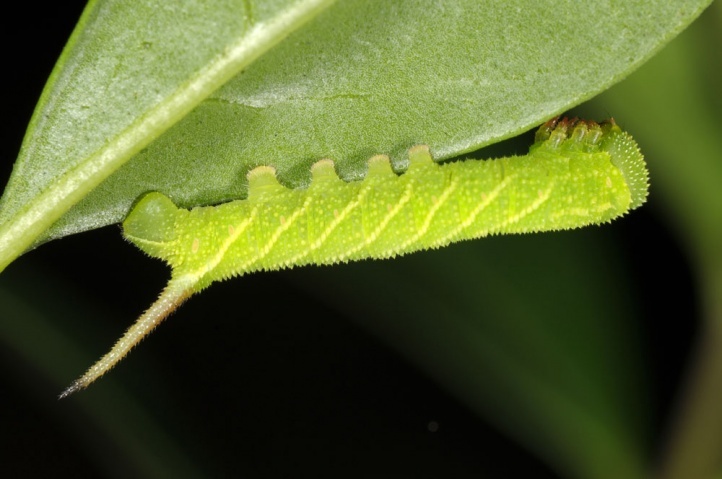 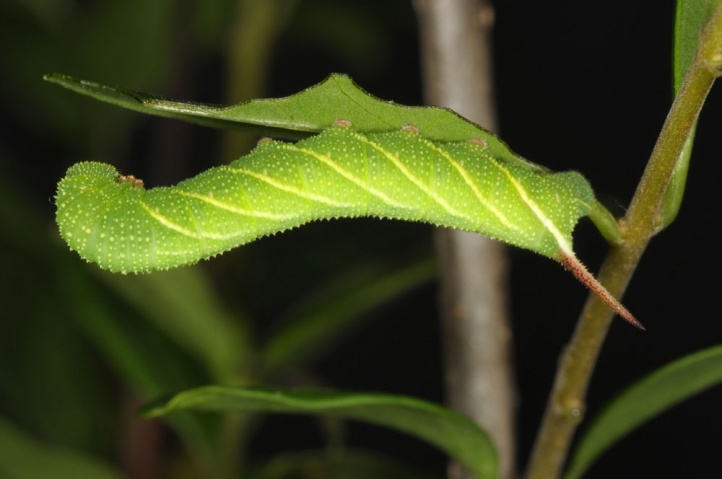 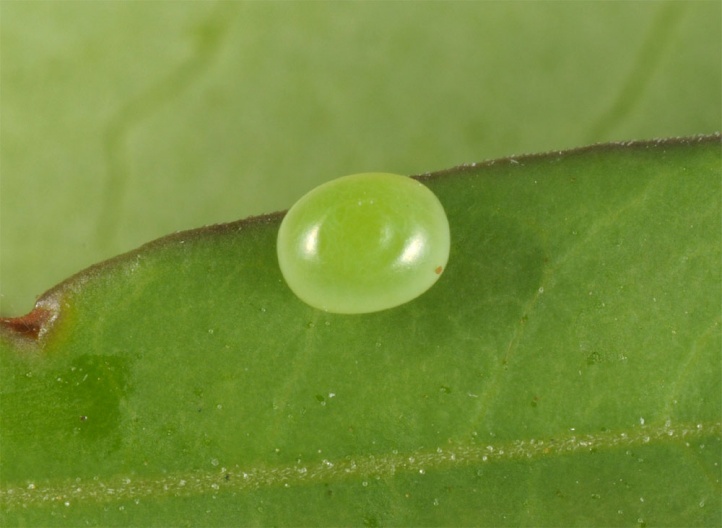 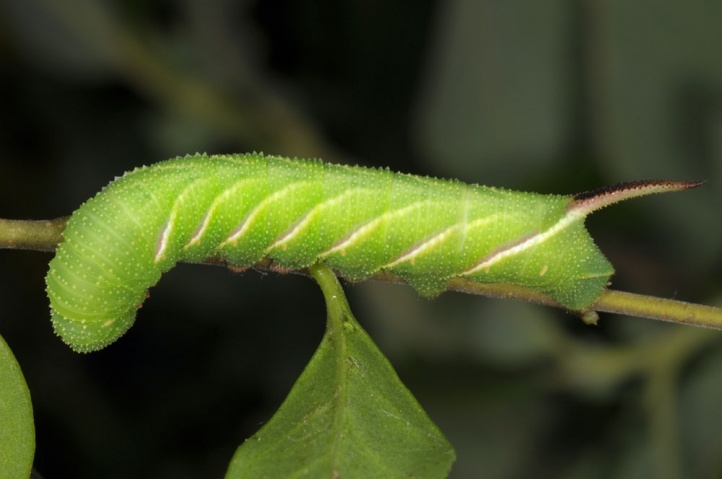 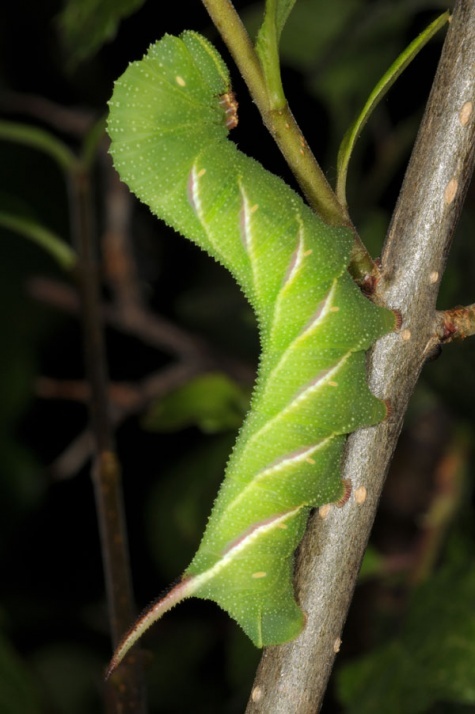 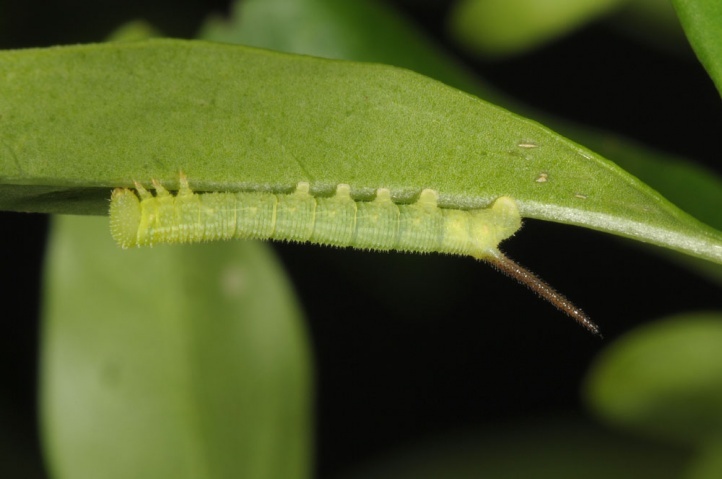 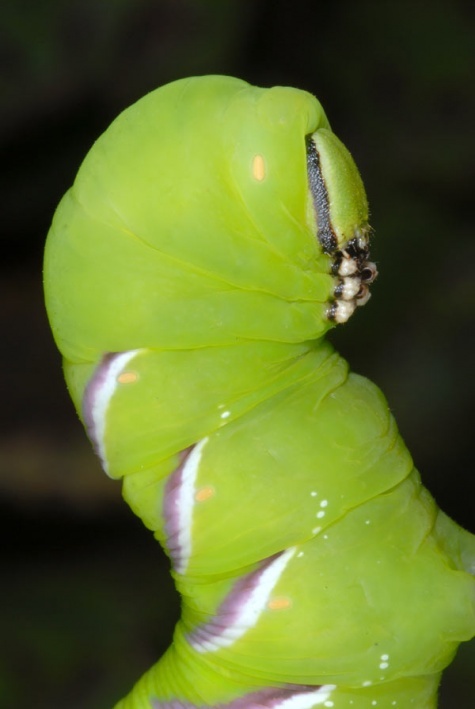 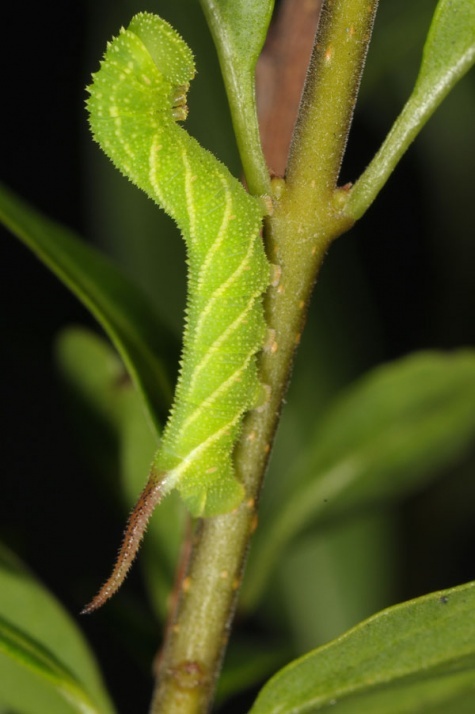 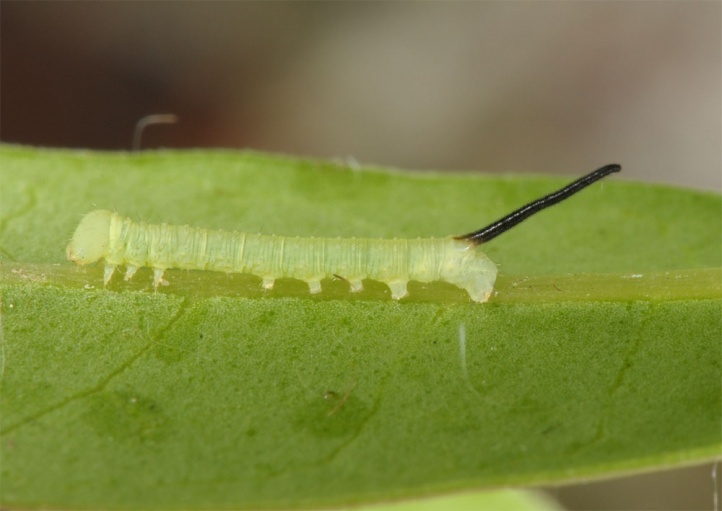 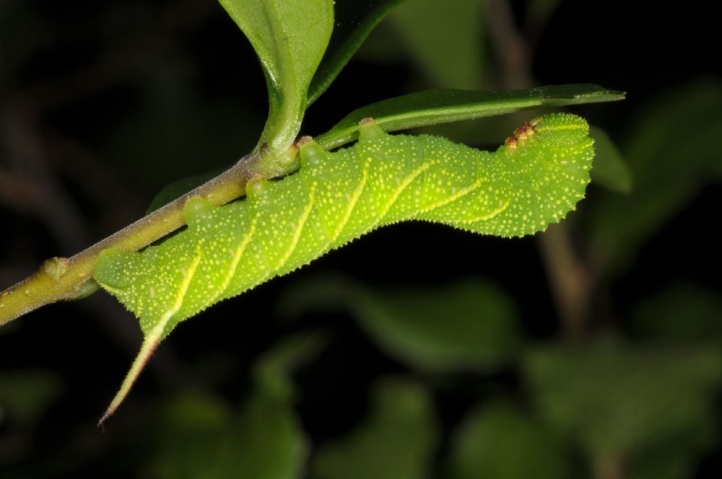 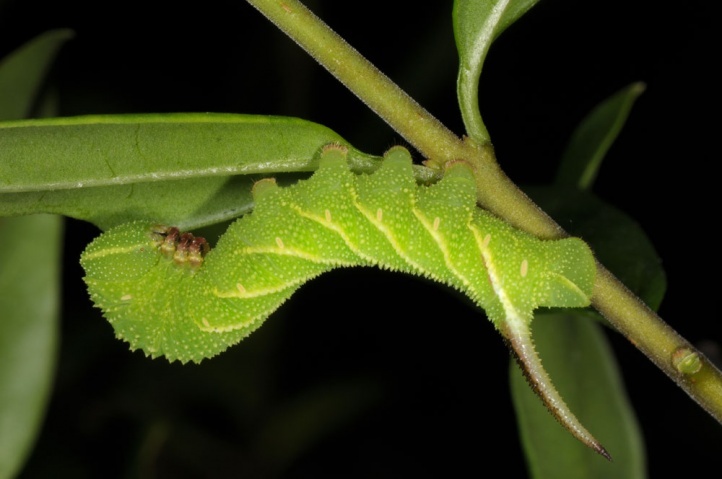 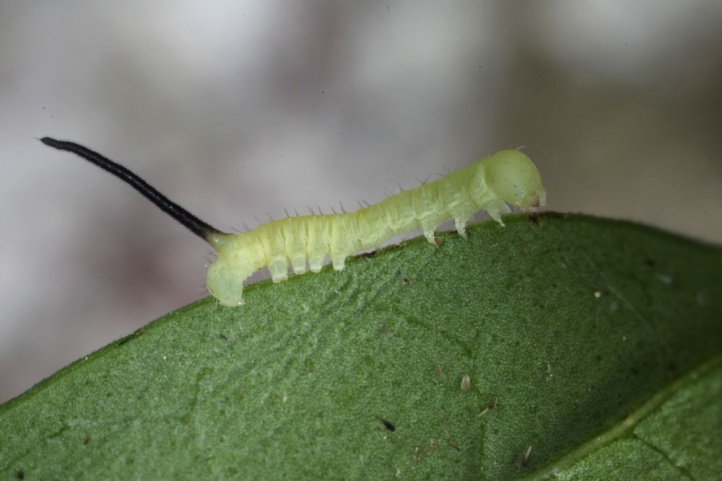 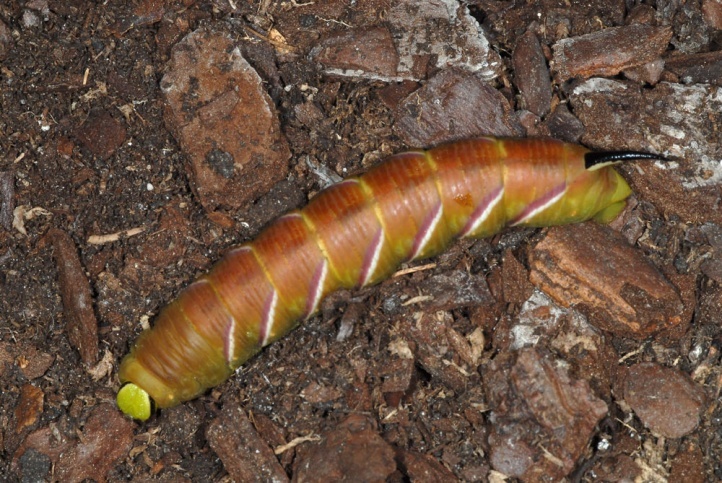 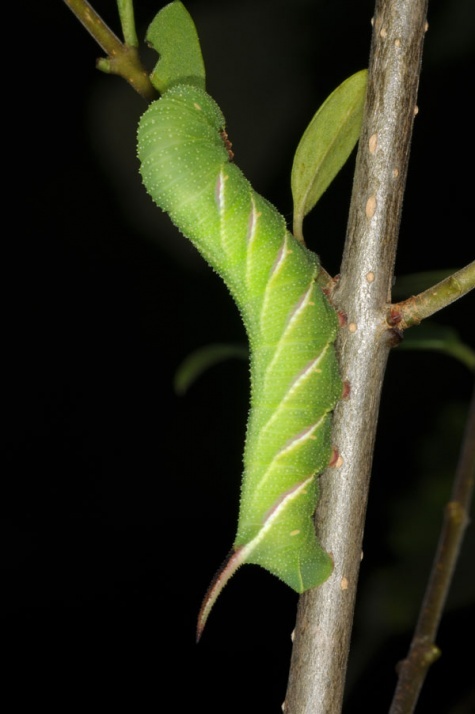 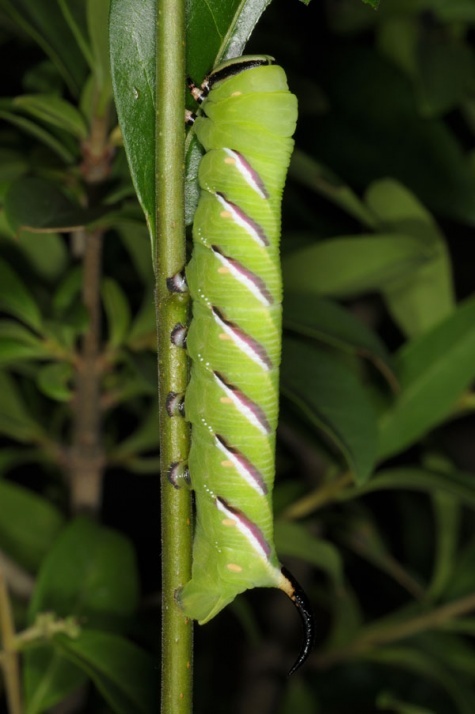 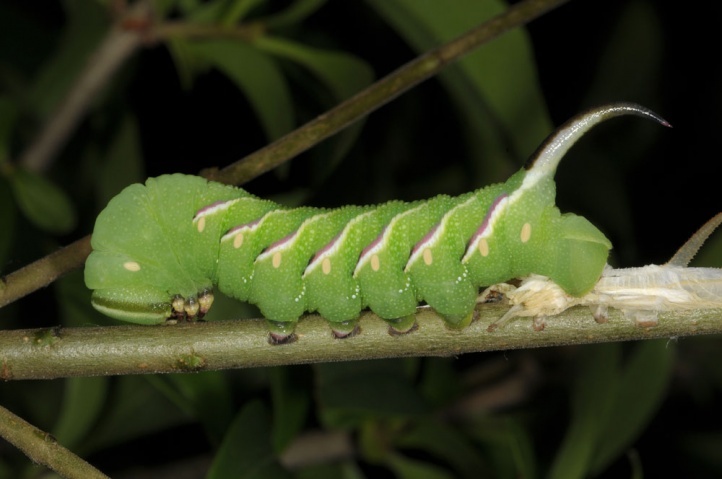 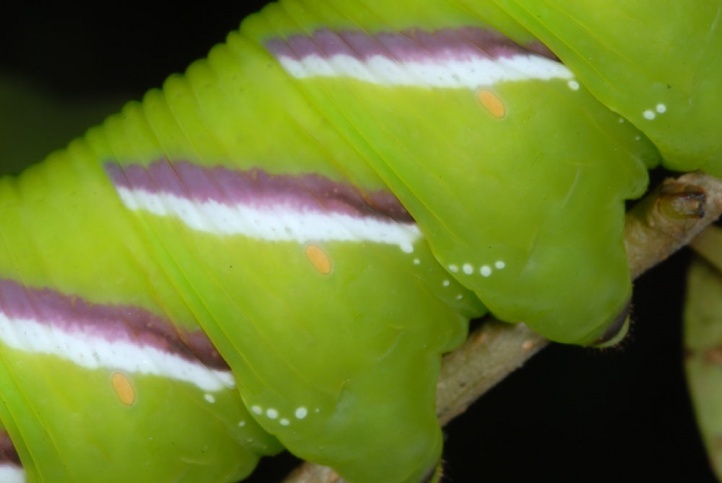 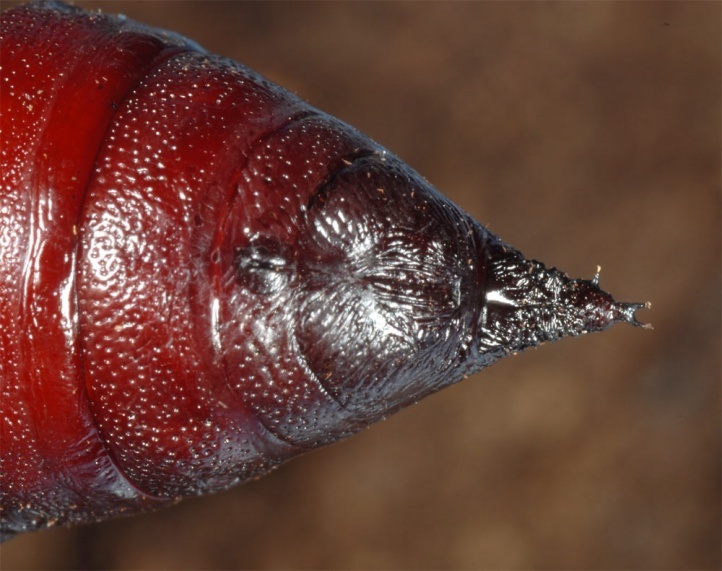 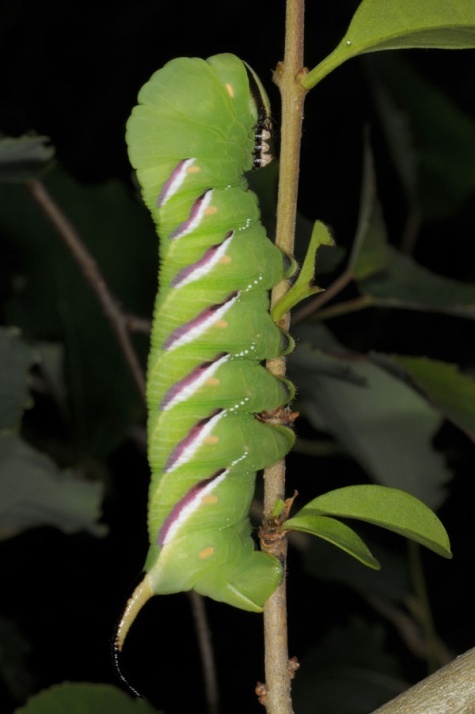 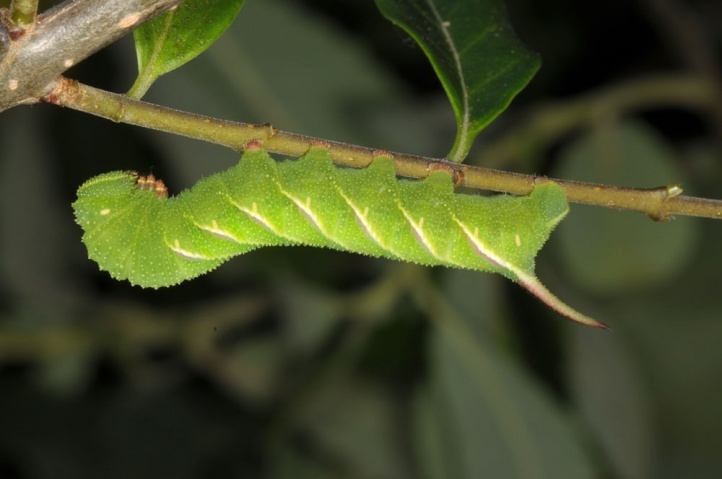 Larvae have once been observed in urban areas more frequently than today. 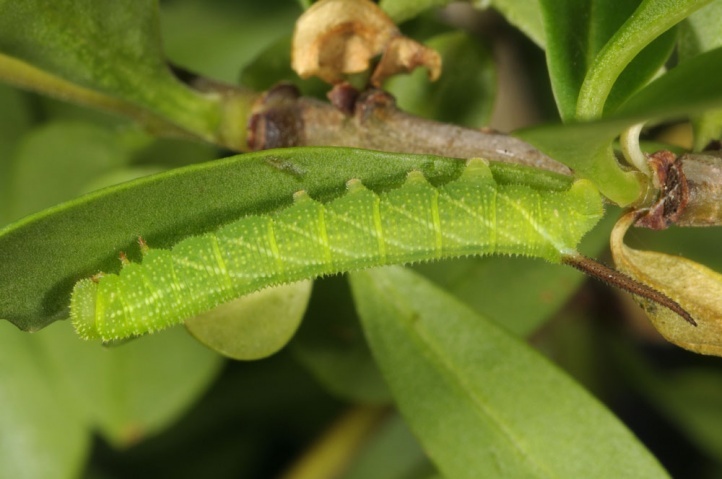 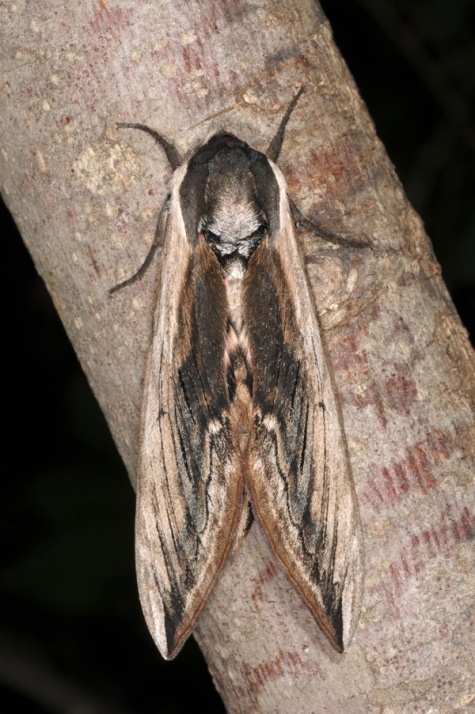 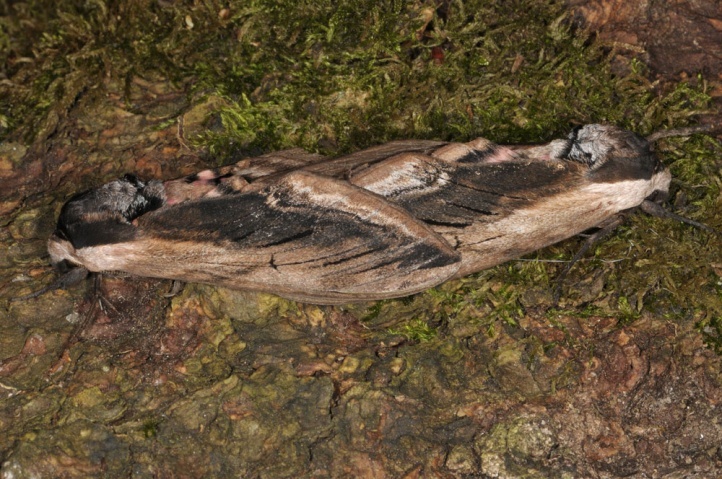 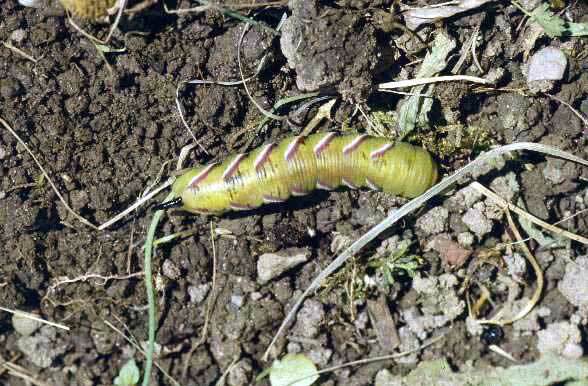 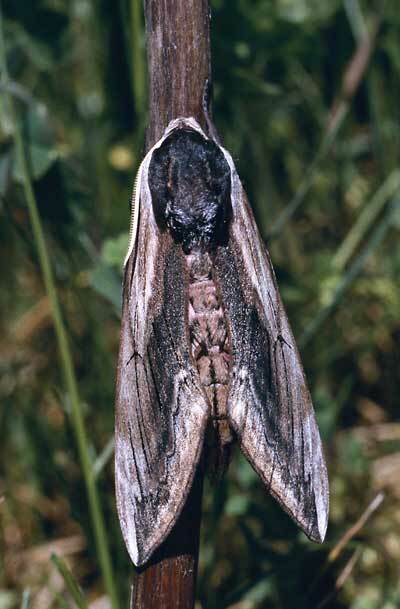 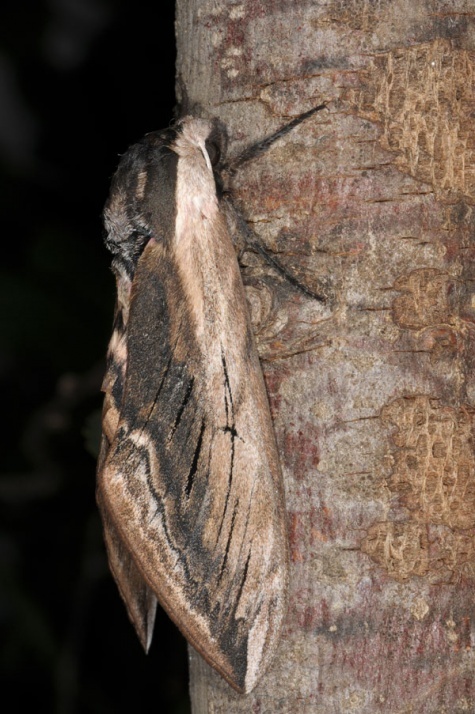 Here Sphinx ligustri is declining, however, and strongly dependent on immigration from outside. 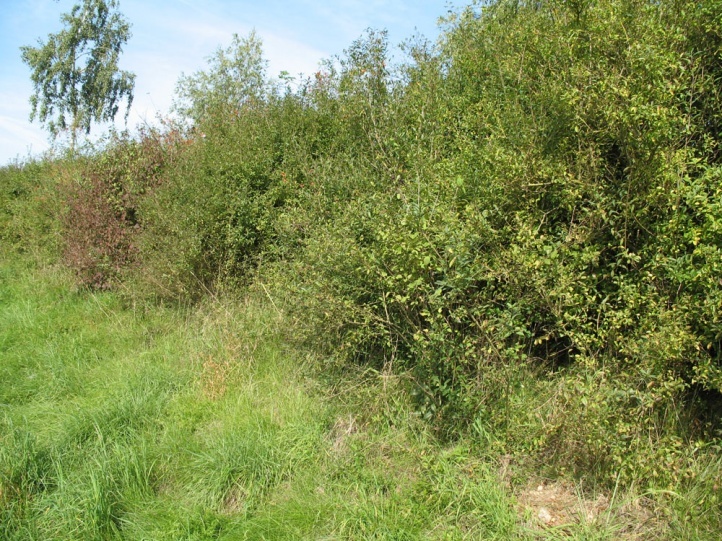 The dry and warm Ligustrum/Prunus-shrubland (e.g. 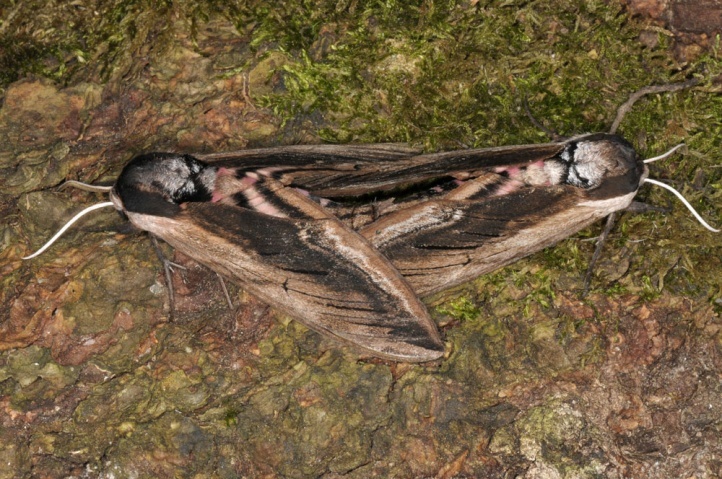 on limestone slopes) is apparently only rarely inhabited (only in more air-humid environments). 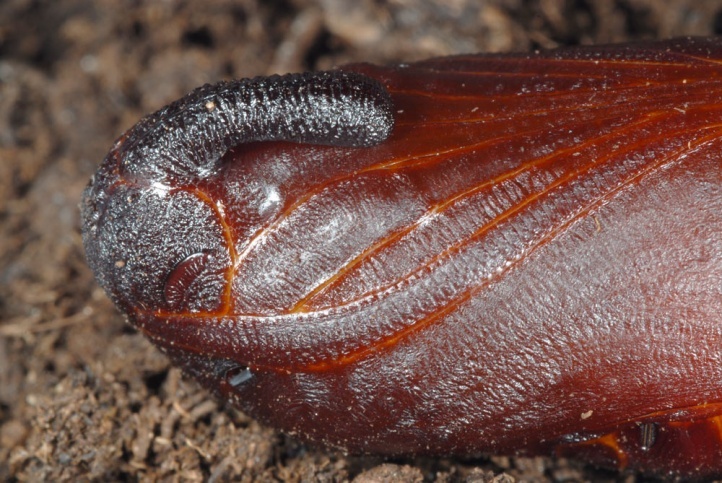 A single generation appears between the end of May and July. 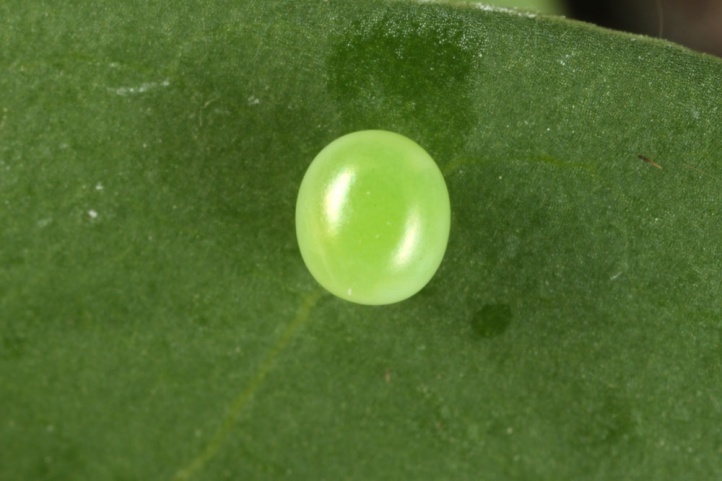 Generally there is no partial second generation. 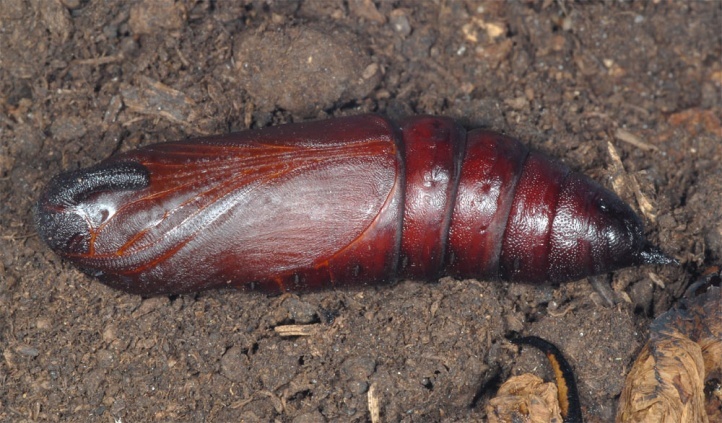 The pupae usually develop late in the spring, so that the main flight time is late in the end of June and in July. 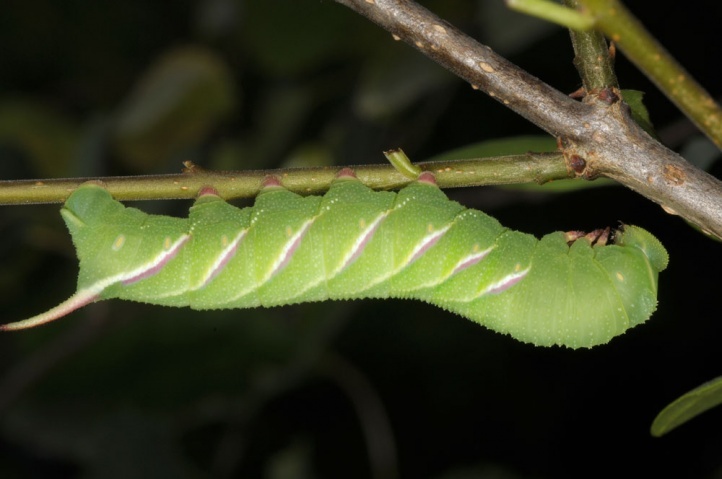 I observed caterpillars sporadically in late July, but more abundant usually only from mid-August to late September. 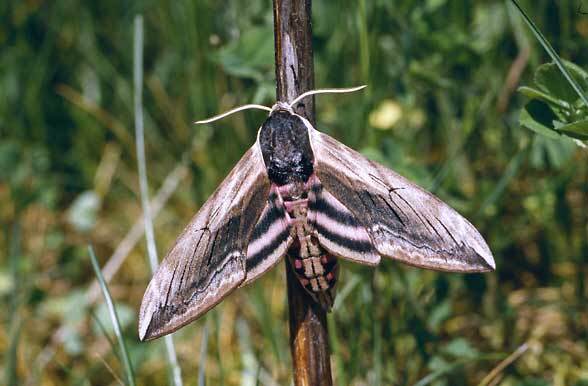 Sphinx ligustri is clearly endangered and in strong decline, as riparian forests are still destroyed or degraded to spruce forests also today and planted woody verges along the highways, that once provided a certain balance, are increasingly damaged through high traffic and the excessive salt load in winter. 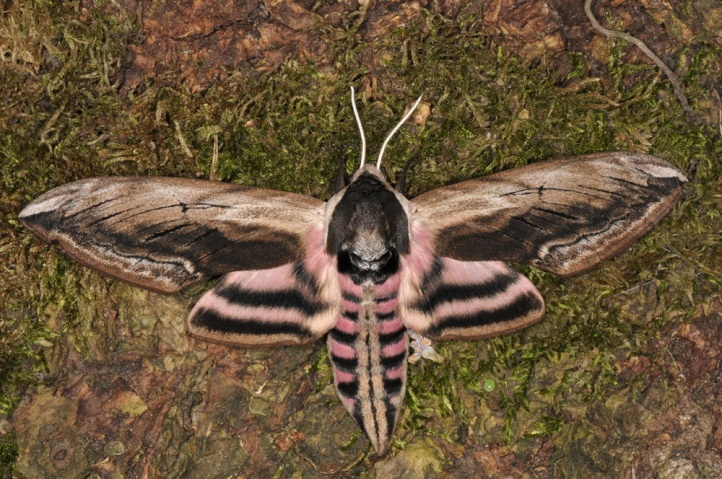 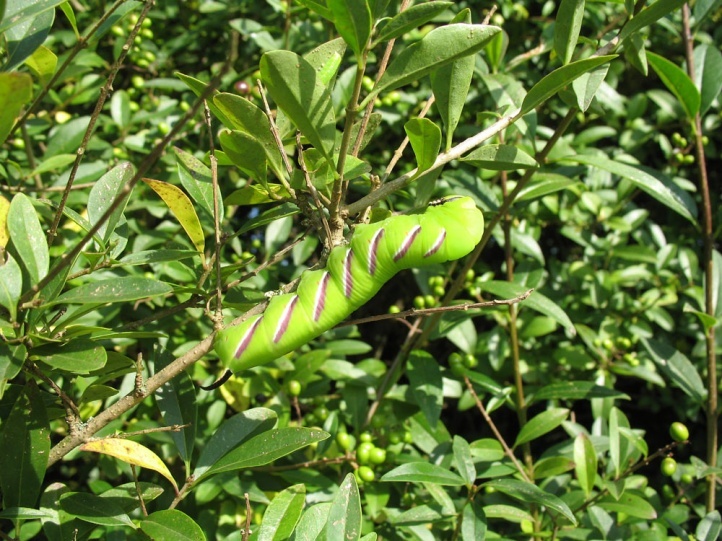 Sphinx ligustri is distributed from Northwest Africa across much of Europe to Japan.